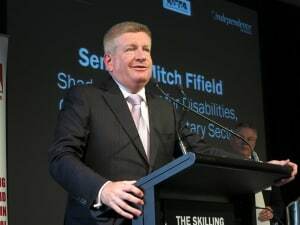 Billed as the “most significant reforms in a generation,” Communications Minister Mitch Fifield has publicly announced that the Coalition will tomorrow (2 March) present a series of media law reforms into parliament, with a view to getting them passed before this year’s election. Fifield confirmed, as expected, that new legislation will include the abolition of both the 75% audience reach rule and the two out of three ownership laws. The changes to legislation will set into motion a series of mergers and acquisitions in the media, TV, radio and publishing sectors, although government has specified that the introduction of new laws hinges on local content protections in aggregated markets. 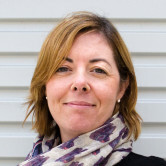 “When, as a result of ownership change, TV licensees for example have in excess of the 75% reach, the new and higher protections will come into place six months after a trigger event,” says Fifield. The protections currently manifest themselves in a point system which must be achieved by a local broadcaster. This will increase from 720 in a six-week period to 900 in a six-week period. Currently a broadcaster is awarded one point for each unit of local content in licensed areas and two for news content relevant to the local area. The Coalition, should the new laws pass, will introduce a new category: three points for material that is relevant to local area that includes local video/TV footage. “We have had discussions with regional broadcasters which indicate they are comfortable with this arrangement,” he says. Certain organisations, such as Foxtel, will be disappointed that the senator failed to include any anti-siphoning changes in the package. “If there was to be a change to anti-siphoning, I think it would need to enjoy the broad support in the parliament,” Fifield confirmed. The senator also reiterated that license fees for free-to-air and commercial radio will be looked at in the course of the next budget. “These license fees were established in the late 1950s - they were the only form of electronic media back then. Obviously the environment has changed dramatically and we will look at it in the context of the budget,” he says.